More power to the customer or missing the point entirely? If you head on over to the popular online store Amazon and look around a little you can find something pretty weird: A listing for World of Goo on the Wii. Reading the item description reveals that this is not actually the game, but rather a code you can enter in the Wii Shop to get the game (Presumably, you have to enter it instead of a Wii..
For those of you out there who are curious as to just what it takes to create a video game from scratch, Ron Carmel, co-creator of World of Goo, recently sat down at the Game Developers Conference and gave some specifics as to what it cost to create their hit WiiWare title. Below are a few dollar amounts Ron gave out regarding the development of World of Goo. 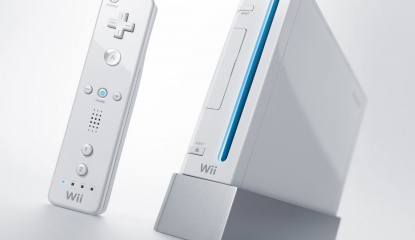 $4000 on hardware $1000 on..
2D Boy is currently working on a seven-part series on their blog that will chronicle the development of their hugely popular WiiWare hit World of Goo. Part one of the series recently went up and includes a nice little bonus for those who would like to see World of Goo in its infancy. In fact fans can even download a prototype version of the game that was only a mere week old. Now keep in mind the.. 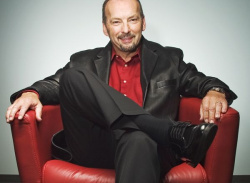 Remember when EA bigwig Peter Moore got all confused because he couldn’t fathom why World of Goo ranked so highly in Eurogamer’s top 50 of 2008? 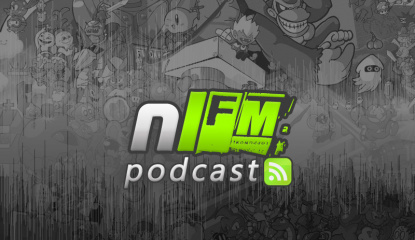 Well he’s now redeemed himself by singing the praises of 2D Boy’s awesome WiiWare title on his blog page. Here's what the big guy said: Before we close the door on one of the lively discussions that was breaking out here over the past couple of.. It seems the soundtrack trend continues and this time it's one of the most hotly-anticipated musical scores of 2008. That's right, 2D Boy has just made available for download, the entire World of Goo soundtrack for your listening pleasure. And the best part is that it's completely free! The soundtrack is 49 minutes long and has been completely remastered by Kyle Gabler. The 2D Boy servers have been.. If you’re a keen fan of the excellent UK-based video game site Eurogamer then you’ll be aware that it recently posted its top 50 games of the past 12 months. 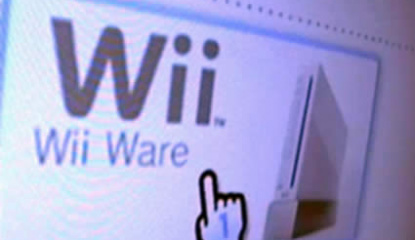 Rejoice, European WiiWare fans! 2Dboy - the developer of the awesome World of Goo – has confirmed that the game will be making its EU debut this coming Friday. Australia and New Zealand are also going to be getting their fair share of goo-goodness, too. 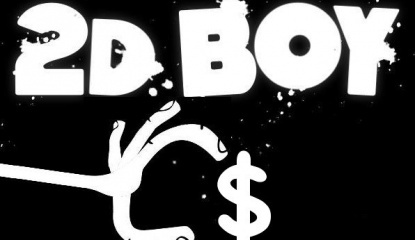 2D Boy's World of Goo continues to acquire accolades from video game and technology media sites around the net, but most recently the game had its name mentioned among such video game heavyweights as Gears of War 2, Guitar Hero World Tour, and LittleBigPlanet in PC World's recent "Video Games: The 12 Best Holiday Bets" special. 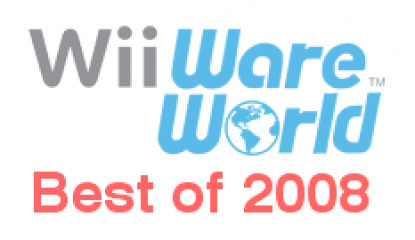 World of Goo was the only WiiWare title to garner a mention,..
News World of Goo Coming to WiiWare in Europe! 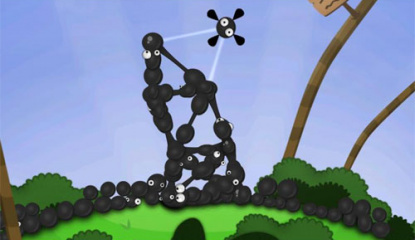 It is no secret that the World of Goo is our favourite WiiWare game to date here at WiiWare World. 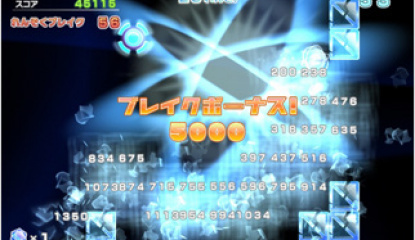 Indeed when we reviewed it last month it achieved the unthinkable and obtained WiiWare World’s first 10/10 score! The wait is almost over. 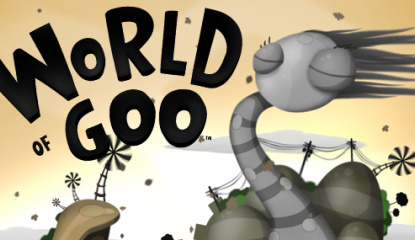 2D Boy has just announced that World of Goo will be coming to the US WiiWare service on Monday, October 13. 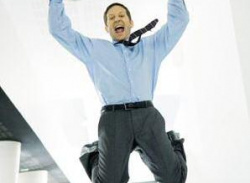 That means in less than two weeks Wii owners will finally be able to enjoy this much-anticipated WiiWare title. 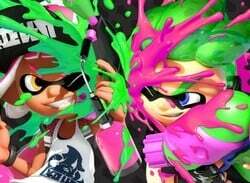 The price has now been finalized and will cost 1500 Wii Points. 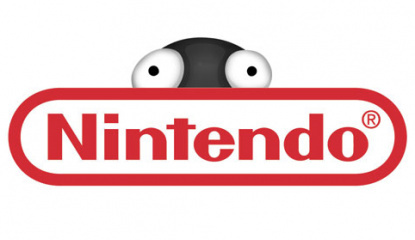 We knew all about Tetris Party, Strong Bad Episode 3 and World of Goo, but we were surprised to hear confirmation that the rumour that the..
Good news for all you Goo fans out there. 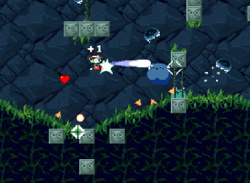 2D Boy has just announced that they've submitted their upcoming WiiWare title World of Goo to Nintendo for approval. If the game passes approval, they should have a release date soon. It would seem that the game is still on track for an October release date. 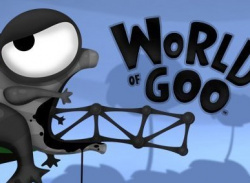 There's been no more word yet on the possibility of a European retail release of World of Goo, but..
News World of Goo To Hit WiiWare In October? News What's New In The World Of Goo? It’s been too long since we have had any new World of Goo news. This game is shaping up to be one of the best games coming up for WiiWare from the looks of it so it’s reassuring to see that Kyle and Ron (aka 2D Boy) are now really just putting the final touches to the game before its WiiWare launch, which is hopefully still lined up for September. 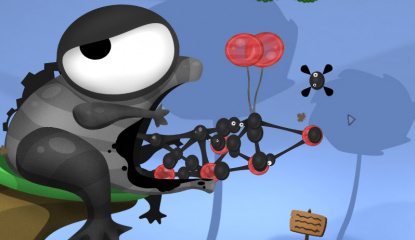 News World Of Goo Will Not Be Released On WiiWare In Europe! 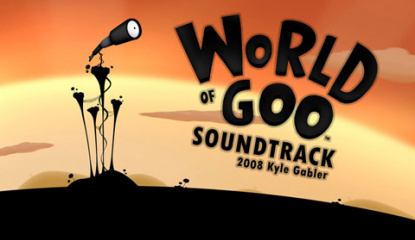 Whilst browsing NoE’s summer 2008 release schedule we were intrigued to find “World of Goo (RTL Playtainment) - Q3 2008” on that list. 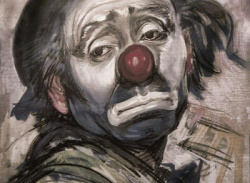 After all isn’t World of Goo supposed to be a WiiWare game? 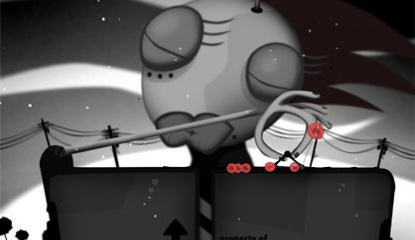 There is no doubt that the upcoming World of Goo is one of the better looking games coming to the WiiWare service. Back in May when we interviewed David Braben on LostWinds you can see even he is bowled over by the looks of this game. Which makes sense because LostWinds also looks stunning and has great art direction. 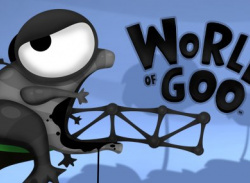 So who is the genius behind the artwork in World of Goo? None other than 2D..
2D Boy’s innovative puzzle title World of Goo has been on our radar for some time now thanks to its lovely visuals and addictive gameplay. As you might be aware the game is also being released for the PC and Mac, but 2D Boy has now confirmed that Wii owners will be getting exclusive online co-op, which makes that version the most appealing of the bunch. This really is excellent news, not only.. 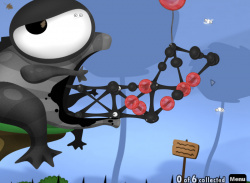 I recently caught up with the guys from 2D Boy, the creators of World of Goo, which is one of the more interesting and original games coming to WiiWare to see how it was all going. 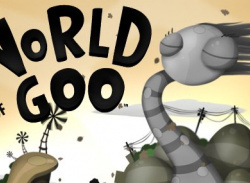 Our regular readers may remember that way back in February we playtested a early build of World of Goo and the first impressions were excellent. 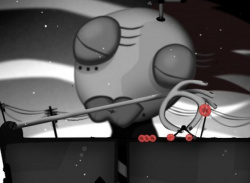 If you think of Tim Burton’s art style mixed with the gameplay of Lemmings and Loco Roco then you won’t be far off the mark. 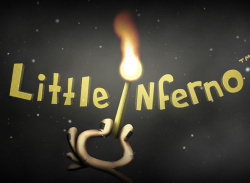 Anyway, we are all interested to know when we can expect to see this promising game on WiiWare. Sadly the answer is not for a little while yet. 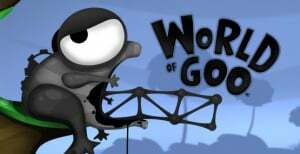 Their aim is to finish development on the Wor..
Our new found friends at 2D Boy were kind enough to provide the team at WiiWare World with a playable demo of the first level of their upcoming game World of Goo. Whilst it’s not 100% confirmed to be a downloadable WiiWare game yet, the guys at 2D Boy are expected to spill the beans soon on if this is the case, or not. 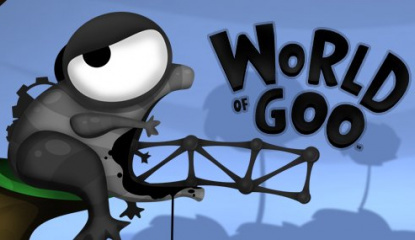 Having only seen a few press screenshots of World of Goo up this point we were..